The male part (plug) of the high-end quick release connector. The latest generation of quick release couplings was specially designed for Highflow systems. It has the great quality of manufacturing that everyone is used to receive from Aquatuning. 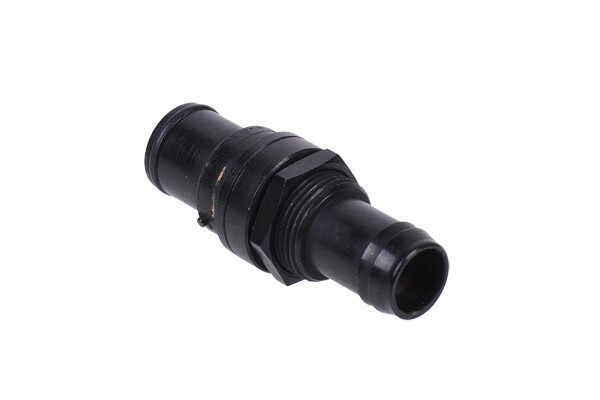 Both the male and female connector are equipped with a special profile to ensure that the pieces cannot cant, therefore ensuring that the connector is always sealed properly. The coupling is equipped with a 10mm barbed fitting for hoses with an inner diameter of 10mm. Note: For operation of the coupling the corresponding counterpiece for connection is required.